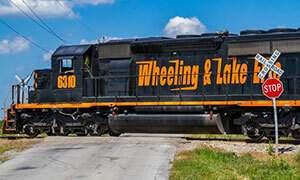 Privately owned, the Wheeling & Lake Erie Railway Company (W&LE) is the largest Ohio based railroad and among the largest regional railroads in the country. Our service area includes 840 miles of track in Ohio, West Virginia, Pennsylvania, and Maryland. W&LE currently has over 425 employees, serves over 135 customers and moves over 140,000 carloads a year. W&LE interchanges with three Class I carriers, and 16 regional and shortline carriers. W&LE is strategically located in the Marcellus and Utica Shale natural gas and oil production areas in Ohio and Pennsylvania. W&LE offers an ideal rail freight transport partner for your company to continue to grow and improve, with our wholehearted dedication to safety, customer service and efficiency. 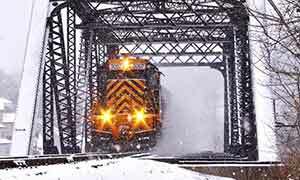 Began in order to fulfill the need for a railroad connection between the Wheeling, West Virginia coal fields and Lake Erie port cities and facilities. Initial enthusiasm was offset by capital constraints. Interest intensifies in transporting Ohio coal to Lake Erie and iron ore from the Lake to steel plants in southeast Ohio. Main offices were moved to Brewster, Ohio, where they remain today. W&LE changes hands several times after World War II, leased by Nickel Plate, then controlled by Norfolk & Western, which later merged to become Norfolk Southern. 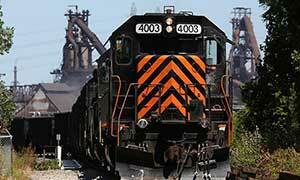 Norfolk Southern sold W&LE to a group of investors, who renewed the Wheeling & Lake Erie Railway corporate name. The new rail system was now made up of a combination of the former W&LE, the Pittsburgh & West Virginia (PWV) and the Akron, Canton & Youngstown (ACY) lines. The 576 miles of track, combined with trackage rights encompassed 840 miles. W&LE acquired the former Akron and Barberton Belt Railroad and part of the local Conrail “Cluster” railroad in the greater Akron, Ohio area. 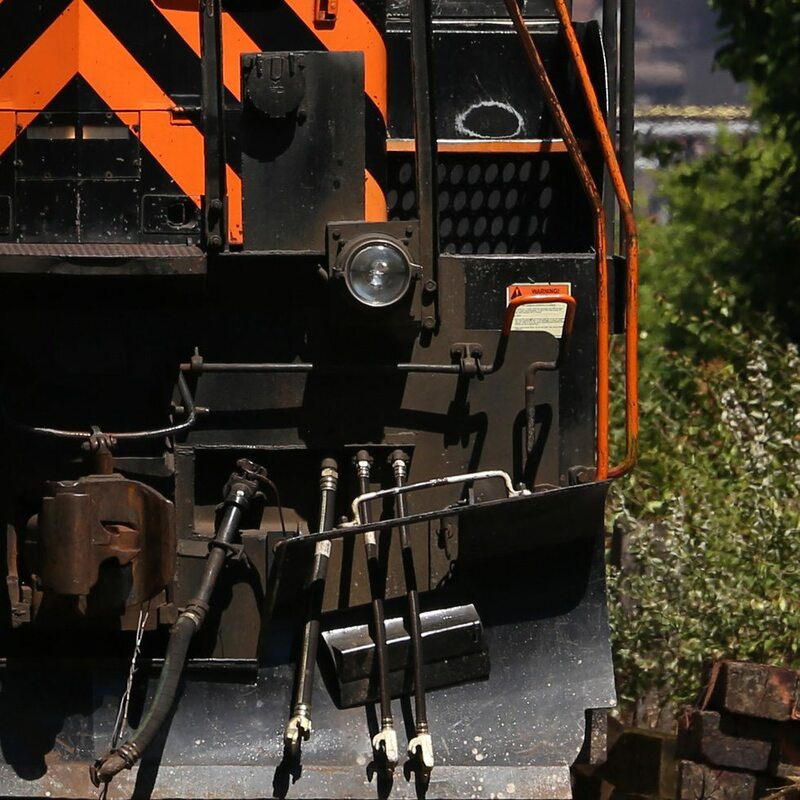 A wholly owned subsidiary of The Wheeling Corporation, the Akron Barberton Cluster Railway handles in excess of 10,000 carloads per year for our 25 customers, primarily consisting of traffic in aggregates, chemicals, grain, plastic products, and scrap iron. 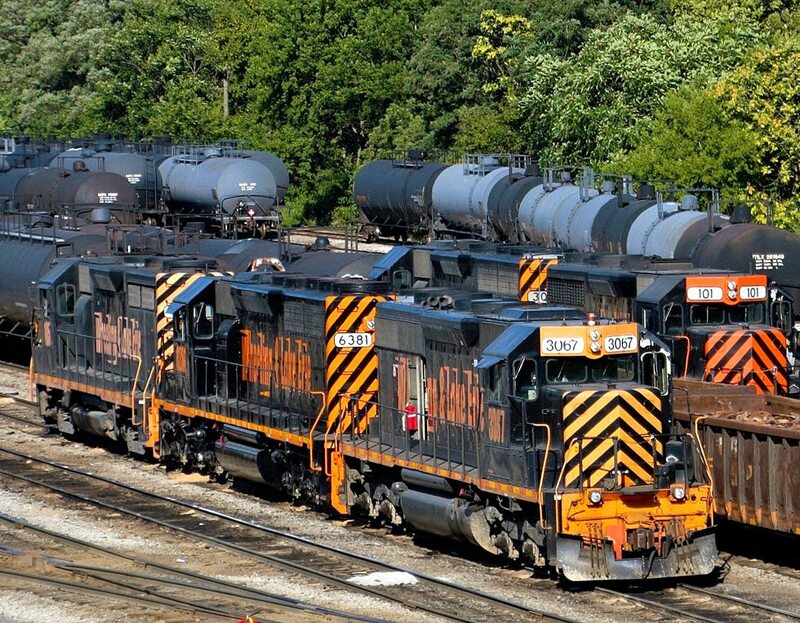 W&LE now handles over 140,000 carloads per year and operates in Ohio, Pennsylvania, West Virginia, and Maryland. The company is private, 100% internally owned, and currently has approximately 425 employees. 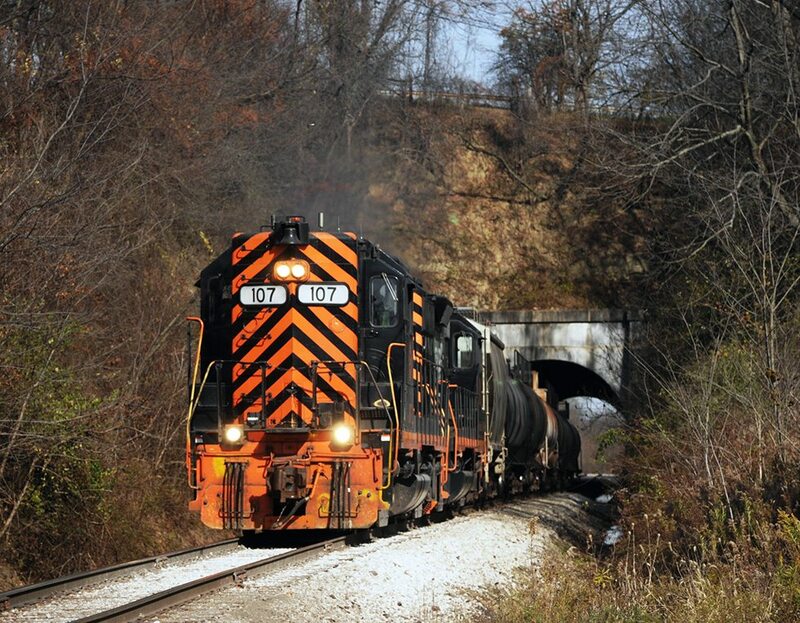 W&LE is the largest Ohio based railroad and is among the largest regional railroads in the country. W&LE interchanges in numerous locations with three major Class I Railroads as well as 14 regionals and shortlines. One of the results of the breakup/merger of Conrail was that the Surface Transportation Board granted trackage rights to W&LE over approximately 56 miles of track providing interchange access in Toledo, Ohio, including Canadian National Railway and the Ann Arbor Railroad. It also gained additional trackage rights of approximately 53 miles over CSXT with access to Lima, Ohio, with the interchange to the Indiana and Ohio Railway. Multiple Class I connections have enabled the W&LE customers to benefit from competitive rail rates and service. W&LE currently handles steel and raw materials to and from five different mills, aggregates from three different quarries, chemicals, industrial minerals, including frac sand, plastic products, grain, food products, lumber, paper, and petroleum products including Marcellus and Utica LPGs and NGLs. W&LE mainline tracks are rated for 286,000 pounds gross weight and mainline track speed is now up to 40 miles per hour for the majority of the mainline as a result of the installation of over 170,000 new ties, and continuous welded rail, as well as improvements made to many bridges and tunnels. 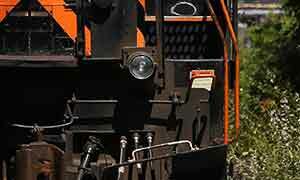 In 2004 Railway Age Magazine selected W&LE as Regional Railroad of the Year. 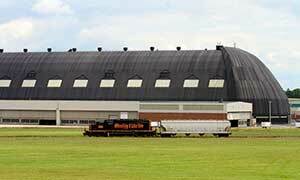 An asset that has proved productive for the new W&LE is the Brewster shop complex. As far back as 1910 the W&LE built 0-8-0 steam engines in the Brewster locomotive shop and the upgraded shop continues to be a valuable asset of the W&LE, offering locomotive and car rebuilds, repairs, as well as fabrication services to other railroads. This extensive facility can accommodate the repair of 50 cars under roof and 50 additional cars outside with a storage yard area for 1000 cars. W&LE has committed many hours to assist in developing community awareness of railroad/highway safety through Operation Lifesaver and has received four national safety awards in recent years for employee safety.